We all know that raw dog food is my number 1 choice for Abbie and Gunner! I’ve done extensive research (view my findings here) and believe it’s the healthiest and most appropriate way to feed your dogs by giving them the nutrients their bodies crave. Darwin’s Natural Pet Products has always been on my list of companies to work with because I believe in what they stand for, where they source their ingredients, and it doesn’t hurt that their customer testimonials are extremely positive. Darwin’s goal is to make feeding your dog fresh, quality raw meals convenient and affordable even with every dog having unique dietary needs! If your dog is sensitive to wheat or gluten, don’t fret! Their products are free from these unnecessary additions and they provide complete and balanced nutrition for your dog. Their meals are customized for YOUR dog, not the average dog. Darwin’s offers a few different lines of raw dog food, depending on your dog’s needs and YOUR budget! This formula is Darwin’s premium line of raw dog food. It’s grain-free, gluten-free, and includes free-range meats and organic vegetables. ALL of their proteins (beef, chicken, duck, lamb, and turkey) are raised in cage-free, are free-roaming or pasture-raised, grass fed, and are free of steroids, antibiotics, and artificial growth hormones. Their Intelligent Design is a prescription line specially formulated to support dogs with certain health issues (kidney support, liver support, cancer support, and joint and musculoskeletal support) . These highly palatable and nutritious meals use only hormone-free, antibiotic-free, pesticide-free meats, and organic vegetables, with no grains,added fillers, or chemical preservatives. This line is available by prescription only. Learn more here. Darwin’s also offers their ZooLogics Design that is their more economical line of raw dog food. This line uses the same formula as Natural Selections, 75% meat and 25% vegetables. ZooLogics provides complete and balanced meals that are made from conventionally grown proteins and veggies from the same farms that supply your supermarket. Learn more by clicking here. Getting setup with Darwin’s is easy as 1, 2, 3! 2) Read about each line offered, and choose the one that’s best for your pup. 3) Order now and receive an introductory offer!!! If you’re stuck on number 2 and are unsure which line is best for your pooch, you can receive a FREE pet food consultation by a Darwin’s Pet Food Expert. Remember, Darwin’s meals are made fresh, are vacuum-sealed for freshness, and then frozen to keep vital nutrients intact. They naturally and organically contain essential vitamins and minerals like Omega 6 and 3 fatty acids. Darwin’s does not contain fillers, grains, or artificial substitutes. Their meals are crafted with 75% meat and 25% veggies; this provides your pet with a balanced diet from healthy sources. Their meals do not contain steroids, hormones, or chemical preservatives. And lastly, Darwin’s sources from USDA certified, human-grade ingredients in the United States of America and Australia. Watch for our next Darwin’s blog post to see how our dog’s are excited for meal time now! 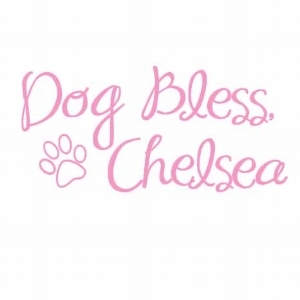 Get your pup started on a healthy journey with us gals! We’d love for you to come on this raw diet journey too. Let us know which line you chose for your pup and comment below!